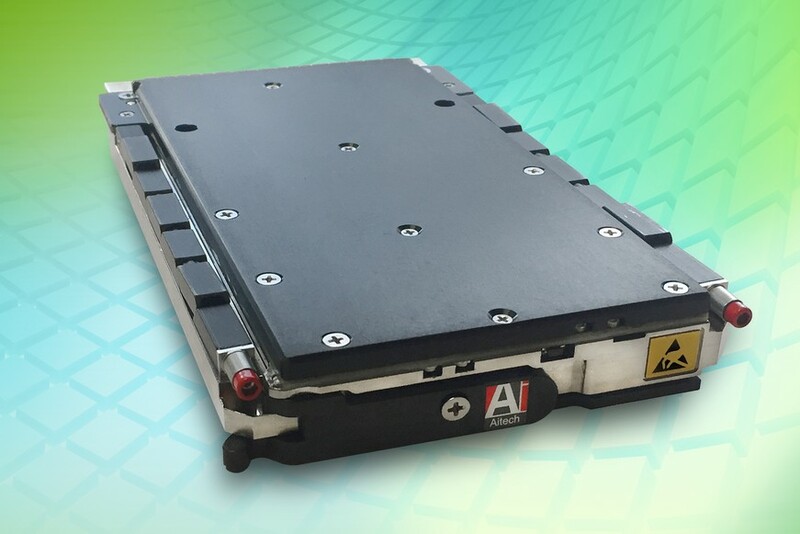 Building on a longstanding business relationship, Aitech Defense Systems and ADLINK have combined resources to integrate ADLINK’s newest Xeon-based 3U VPX blade into Aitech’s rugged subsystems. This partnership brings Aitech’s extensive system integration capabilities for rugged, harsh and military-qualified electronics to ADLINK’s range of embedded computing solutions. It also enables Aitech to provide powerful Xeon-based systems tailored to an application’s requirements, with different configurations that include a host of user-defined I/O ports, graphics cards and frame grabbers. Operating in a range of -40°C to +75°C in both air-cooled and conduction-cooled versions, the 3U VPX single slot C876 SBC (single board computer) serves as the heart of the rugged subsystems and uses the powerful Intel Xeon D-1500 multicore processor. The high performance SBC integrates an on-chip graphics controller that supports VGA graphics and video processing. It also offers the fastest, large on-board 16 GB DDR4-2133 SDRAM in dual banks with ECC operating at 2,133 MT/s and mass storage of up to 64 GB in a SATA III Flash disk, using SLC (Single Level Cell) Flash memory. Also noteworthy is the extensive number of popular I/O interfaces, such as 10 Gb Ethernet, USB 3.0 and 2.0 as well as graphics, serial ports and discrete I/O lines, available to meet a wide range of system requirements. Expandability and further flexibility are provided by an industry standard XMC slot. For more information please call 888-Aitech-8 (888-248-3248), visit bit.ly/NewsC876xeon or e-mail sales@rugged.com.